ReadyTv officially launches today and plans to make a big splash in the Cable TV business. in so doing, they’ve brought us on par with Latin America, Europe and the United States that already utilise a DTT (Digital Terrestrial Television) Network. Having relocated their head office in Palm Plaza, Portmore, St Catherine as noted in ReadyTV based in Portmore, launching March 2017 with GK MPay Support they missed their March 2017 launch by at least 2 months. So what can we expect from ReadyTV? Still, good thing come to those who wait, as Portmore, home to 80% of their staff and the majority of their customers, are set to get an alternative to FLOW, DigiPlay and pretty much the rest of the cable industry. Their broadcast tower, commissioned with the help of Mayberry Investments Ltd, who raised funds to get their business going as detailed in Digital Interactive Services READY TV Revolution is Cable TV for all Jamaicans, is the the perfect starting point for their grand ambitions. At least 18 towers across the island. So what does the future hold? And will this affect free-to-air broadcasters such as CVM TV and Television Jamaica? They’ve also joined services with CryptoGuard to encrypt data across their Network as noted in ReadyTV selects CryptoGuard heralding Wireless Broadband Streaming TV future suggesting that they may soon launch LTE (Long Term Evolution) to enable Streaming to Mobile devices and Smart TVs. 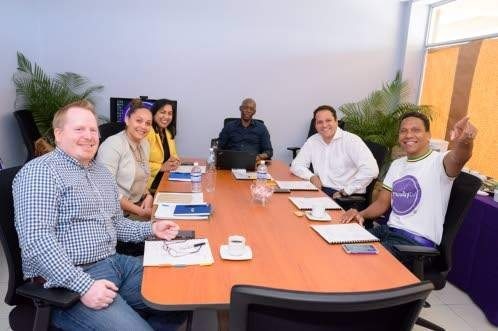 So with these plans in the pipeline, ReadyTv will give Jamaicans the opportunity to experience a cable television wirelessly affordably and without the need for expensive cables. 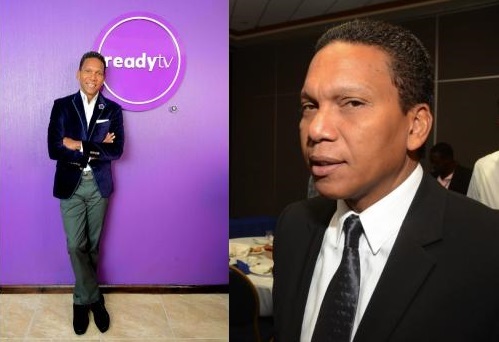 They’ll also shake up the local broadcasters CVM TV and RJR Communications, owners of Television Jamaica to make a shift towards DTT as I’d predicted in The Future of Free-to-Air Broadcasters in Jamaica as Digital Switch Over Approaches in 2015. This may mark the start for the race towards establishing DTT Networks in Jamaica! How can I access this service in tower isle, St Mary? Good job,,but you all should publish your phone numbers in the print media for those who don’t have internet access. Not necessarily. Just need to be strategic about where they place their towers. French Park, Spur in Manchester Needs this. Come to our area right now!